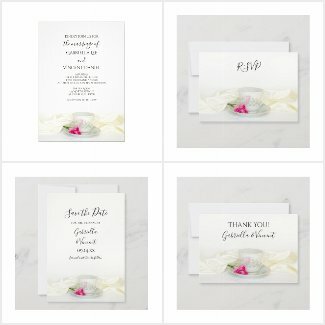 Are you a budget conscious bride looking for an affordable but elegant wedding theme? 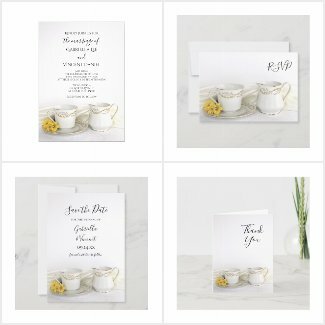 Consider a Tea Party Wedding. A high tea wedding has plenty of class and style without breaking the bank. 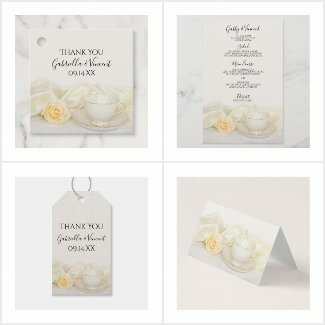 First of all, tea party weddings are mostly held during the daytime hours or on a Sunday afternoon which can be a less expensive time to rent a venue. Saturday nights are often the most popular time and that will be reflected in the price. So if you can host your event on an off time, many times it can be done at a deep discount. Speaking of venues, high tea weddings or bridal showers can be held in a quaint vintage restaurants, a classy barn, your own backyard or an arboretum garden venue in a big white tent. Create a romantic ambiance and bring the outdoors in with fresh flowers and floral buntings, dainty fairy lights, natural greenery and mosses. Beautiful vintage tea cups, saucers, water pitchers, vases and linens can be found at resale shops like Goodwill at very reasonable prices to decorate your tables. 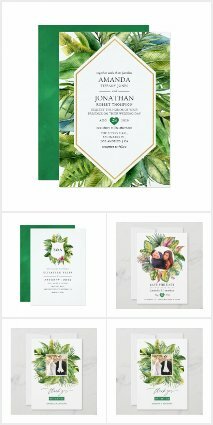 It’s fun to mix and match patterns to create an eclectic feel, especially if you are planning a smaller more intimate marriage reception. While food and drinks can be a major expense for a wedding reception, a tea party can be budget friendly while easily keeping the theme. First of all, you can offer a selection of unusual teas for less money than an open bar. Because your event will be held during the day, it also may not lend itself to be a large drinking event for your guests. But for those who do which to partake in alcoholic beverages, there are several fun tea cocktails which you could become your signature drink. Because you will not be hosting a large sit down dinner or buffet, your food costs will be lower. In keeping with your theme, small appetizers, finger sandwiches and light desserts can be served on little vintage plates. Your guests will enjoy the variety of a sampling of different flavors. 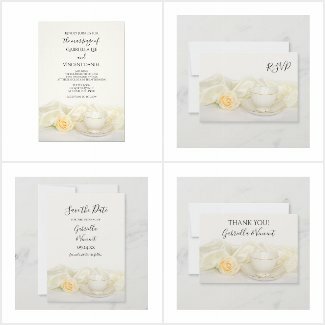 Set the tone for your Tea Party Wedding when you send out your Save the Dates and Wedding Invitations. 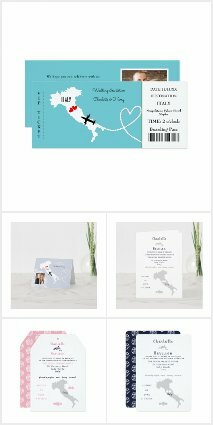 Follow the theme through to your reception with party supplies including disposable paper products, plates, table numbers, menus, place cards and favor tags. 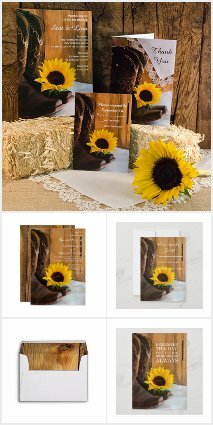 Follow up your event with matching Thank You Notes or Photocards.